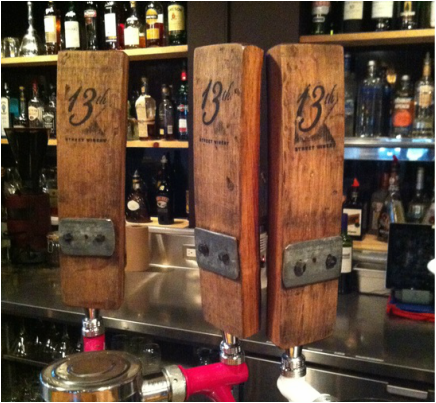 YRK is the only restaurant in Guelph to serve wine on tap keeping our "by the glass" wines as fresh as the first pop of a cork!!! .....but not the snobbery of it.!! local wines, charged by the ounce! An exciting new wine category is rapidly exploding throughout North America. Wine-on-tap has become the evolution of wine by-the-glass programs in trend-setting establishments, providing added value to the consumer while increasing profitability to licensees. Until now, wine by-the-glass selections have remained limited because of the high financial risk of spoiled, bottled wine due to oxidation, affecting the bottom line of all operators. FreshTAP wine-on-tap is dispensed from stainless steel kegs and constantly pressurized by an inert gas, eliminating oxidation. Not to mention, this wine-on-tap system eliminates the need for bottles all together. Ensuring that the wine in the consumers glass tastes as fresh and delicious as the winemakers crafted it to be. • Wine will never spoil due to oxidation and will no longer be wasted due to breakage or “Corked” bottles. • Serving wine-on-tap from stainless steel kegs ensures the guest enjoys a fresh glass of wine, every single time. • Cost of savings on labour by eliminating the need to stock bottles, handle recycling and gassing bottles, therefore increasing overall efficiencies. • Eliminating all packaging waste and spoilage means increased margins and more profits to the restaurant. • Wine poured from a FreshTAP stainless steel keg is constantly held under the gentle pressure of an inert gas, preserving the wine perfectly for 6-8 months once tapped and preventing any oxidation. • A stainless steel keg replicates the exact environment wine is stored in a winery, in stainless steel wine tanks. 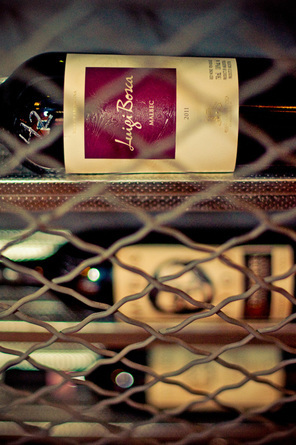 Therefore, winemakers are confident their carefully crafted wines are always kept in their natural state. • Each 19.5L wine keg contains the equivalent of 26 (750ml) bottles, or approximately 130 five-ounce glasses. The 130th will be as fresh as the first. • Wine in stainless steel kegs eliminates the need for bottles, labels, corks/capsules and cardboard cases from ever needing to be manufactured and eventually ending up as waste.